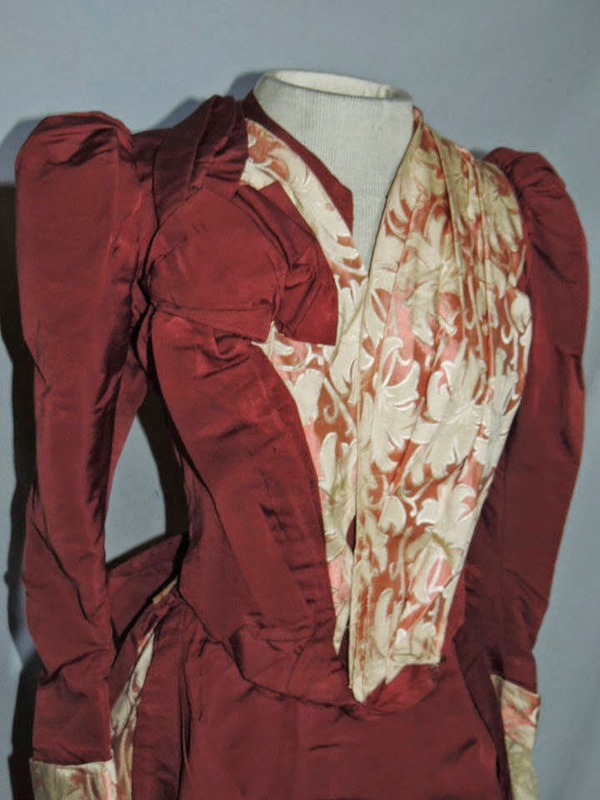 This beautiful asymetrical bustle gown is made from a russet silk faille with a boned bodice. 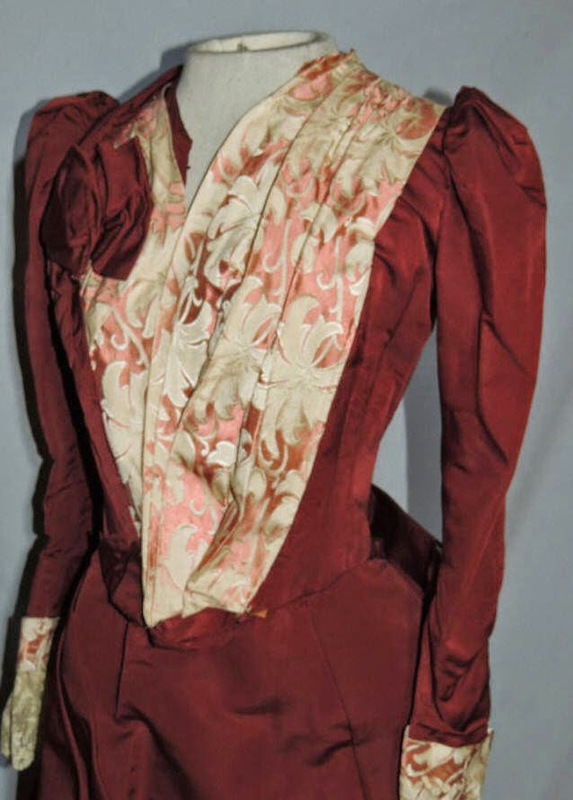 It's has panels of Salmon and cream brocade on the front bodice and insets on the side of the skirt. 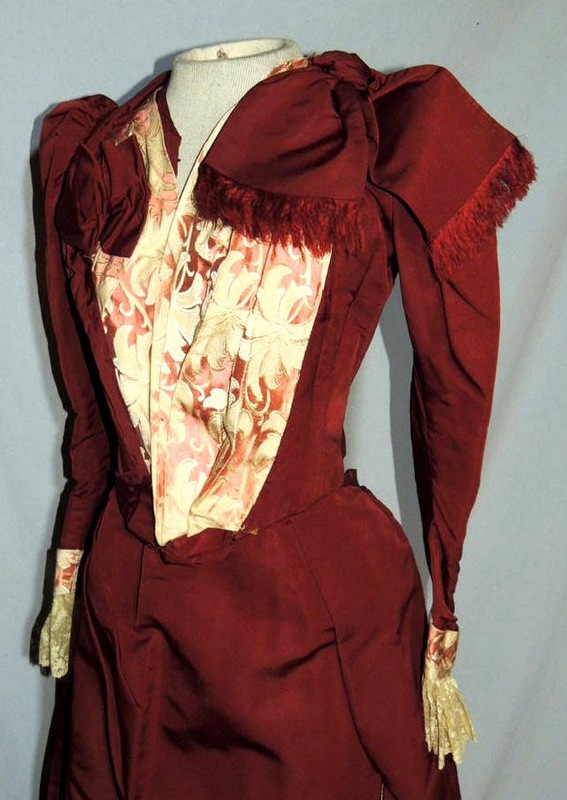 The bodice is lined, it has a pleated band over the right shoulder ending with a bow in front on the side. 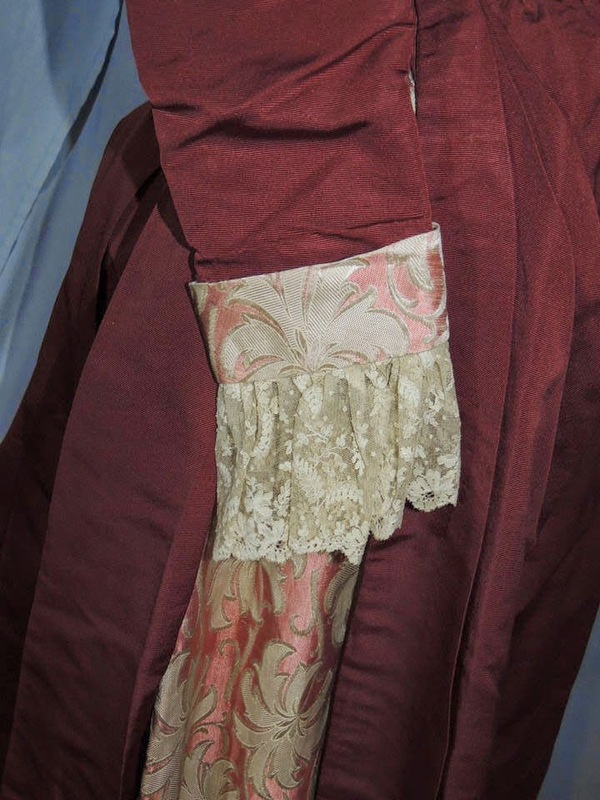 The sleeves are gathered around the armhole, it has minor underarm stains and gathered lace around the wrists. 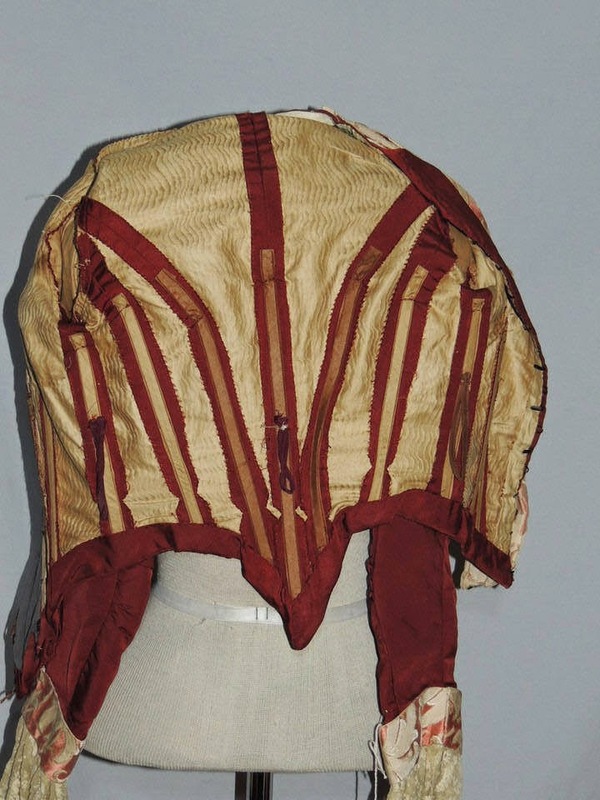 A panel was made for the front from the same faille, it hooks in and the salmon brocade arranged over it to make it larger, the panel will just unhook off, so you can put it easily back to original. My measurements will be if you put it back to where it should be. 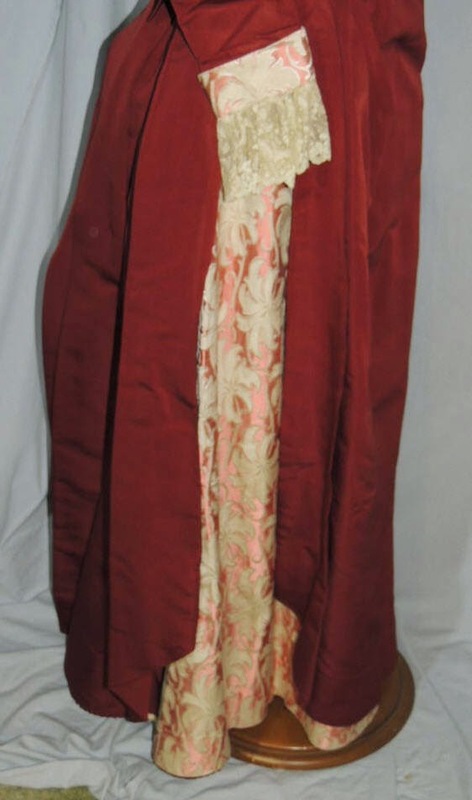 The skirt is lined in brown cotton and there's a large bow that's not attached, it could either go on the back of the bodice at the waist or over the shoulder on the bodice. 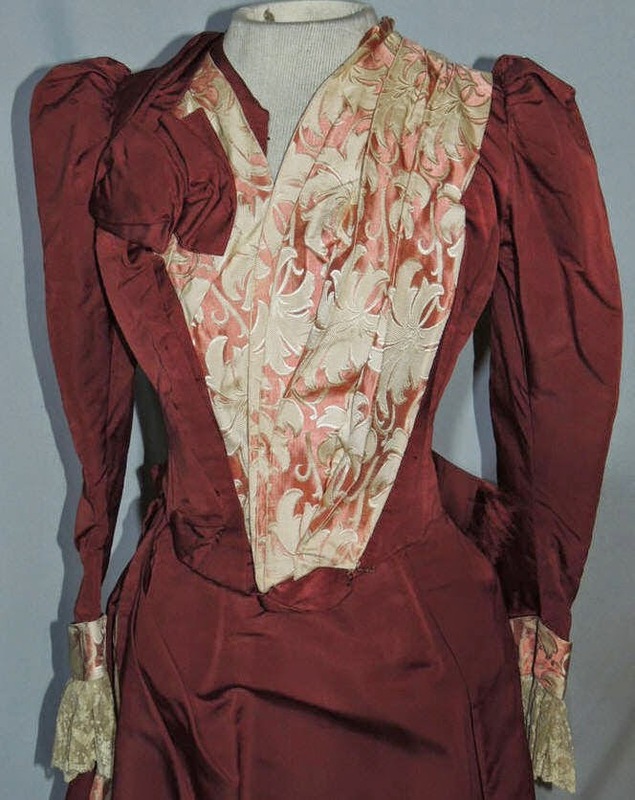 The top measures 33 inches around the bust, across the back shoulder is 11 1/4, waist is 21 3/4 inches. 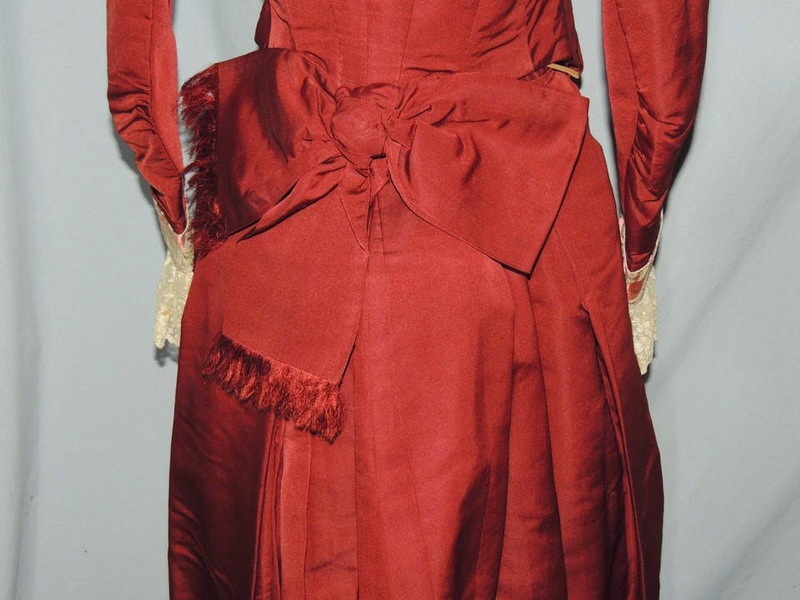 The skirt is 25 1/2 inches, hips are full and it's 39 1/2 inches long. Excellent vintage condition. Yeap, it's that seller again. The one who thinks everything is a bustle gown. 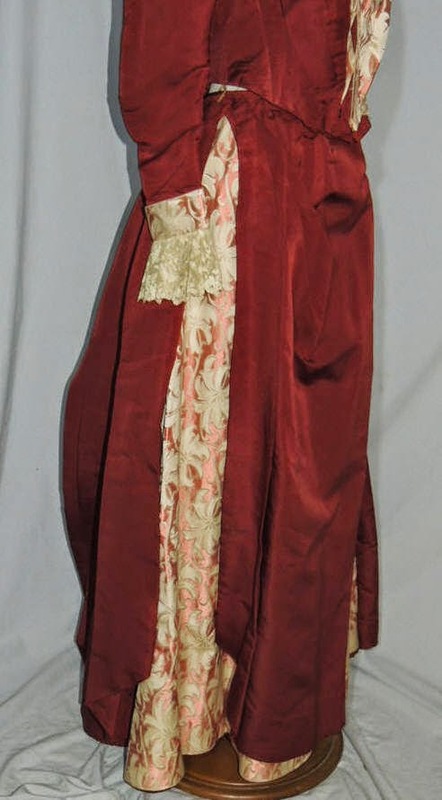 Given how odd it looks with a bustle in the side profile shot, you'd think that she'd figure it out...or the puff the sleeves being a dead give away.